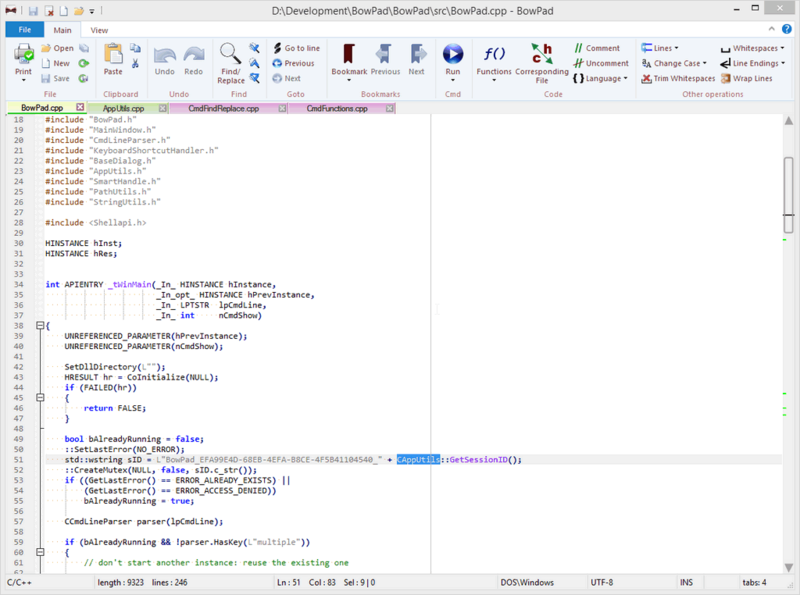 BowPad is a small and fast text editor with a ribbon user interface and syntax highlighting for over 100 file types and languages. The program's feature set is extendable with plugins written in jscript or vbscript. How to extract: Download the "portable" ZIP package and extract to a folder of your choice. Launch BowPad.exe. Vista users have to install the Platform Update for Windows Vista (see website). I have never seen a text editor as ugly as this one, compared to BowPad, even DocPad (http://www.gammadyne.com/docpad.htm) is a beauty. @Midas good point :) I've tested this for awhile(x64) and I found useful and easy to use..... works 4ME. @Ganamyde: please be so kind as to list additional offerings of 64-bit text editors (other than EditPad Lite and AkelPad, which already have database entries).